Providing Emergency Care including Fire, Medical, Extrication, Prevention, and Education to the City of Riggins, Idaho and the surrounding area. Also Riggins is assisted with additional emergency services such as Law Enforcement, Search and Rescue, Water Safety and Rescue, and Rural Fire Fighting services by Idaho County, Salmon River Dive Team, and Salmon River Rural Fire Department. 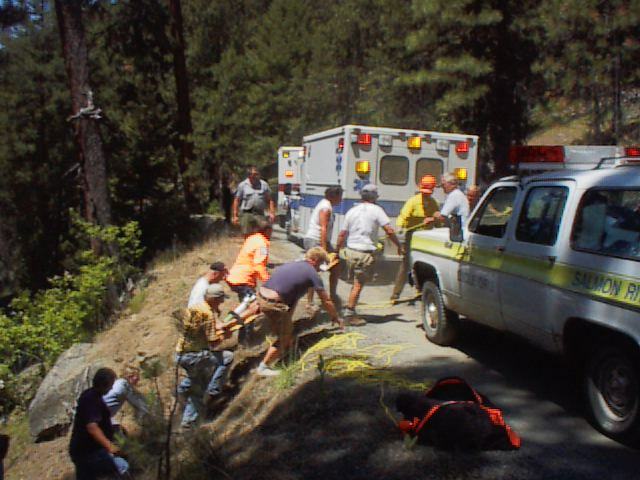 All emergency services are coordinated through the Idaho County Sheriff's Department. For all emergencies call: 911. For all non-emergencies call: 1-800-922-9141 for Idaho County, or 208-628-3394 for the City of Riggins.